Having a website for your business is absolutely essential in this day and age. It makes you open all day, every day! It also makes a positive first impression to your customers. Here at 1st 4 Media we love building websites that look great and that rank well on search engines. We will work with you to design and build your dream website that looks and works great, no matter how big or small the project. All of our websites are designed around our customers needs and are fully optimised. We are a small, friendly and professional team that are here to help! We create a simple but beautiful website that informs your readers what you do. Do you want to sell your products and take payments online? 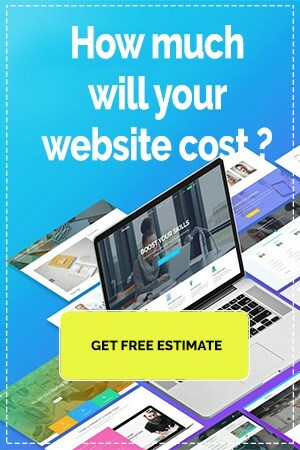 You will need an e-commerce website. Do you have a need to keep your readers informed, then a simple blog site would be best for you. Do you need to take online bookings for your business? If so we can integrate a booking system into your website. Need a mixture of things on your website, or something that we haven’t listed? That’s ok we can work with you to design a bespoke website. The home page is the main page that any visitor to your site will see first. We will help you to ensure that it stands out and for your visitors to think ‘wow’ making them want to read more to find out what you are all about. It is always good to tell your customers who you are, what you do and how long you have been in the industry. Here we will showcase your products/services giving them all of the information that they need to know in order to make a decision as to whether they will choose you. It is important to show your contact details and display a contact form throughout your website but it needs to be easy to find. Do you need to keep people informed about your latest news, products or services. You can run a simple blog and even send this our in a newsletter for anyone that wants to sign up. A picture is worth a thousand words. We will work with you to find the best images for your website so that it stands out. You may want to keep people up to date with what you do, and a great way to do this is sending out a regular newsletter. Google maps is a great interactive feature to show people where you are based and what offices you have. You need to make it easy for people to contact you and what better way to do this with a contact form. Do you want to sell your products online? We can create a shop for you. Taking the decision to have a website built or revamped can be very daunting as there are lots of people to choose from. There can also be lots of hidden extra’s. Here at 1st 4 Media, we are upfront about our costs and nothing is hidden. We will work with you to get the right design for your website, one that you are happy with and one that looks great! All of our websites are responsive. This means that your website will adapt to any screen size when being seen by readers. The design instinctively adapts to the device it is being viewed on so it looks great on mobile, tablet or desktop. If we didn’t get it quite right or you have simply changed your mind, we will make as many revisions as you like until you are happy with the design. Having a website is all well and good but it needs to be found. We will keyword your website so that it can be found in Google.